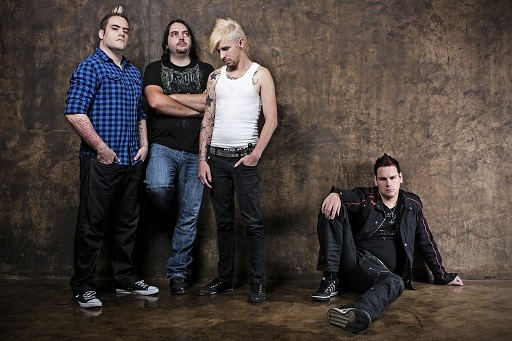 Nova Rise recorded their latest singles in Hollywood, CA. when South Africa based band made contact with Hollywood music producer Mike Gonsolin. Gonsolin, whose producing credits range from Lady GaGa founder and producer Wendy Starland, Limp Bizkit member DJ Lethal, P.O.D. member Marcos Curiel, to hip hop superstar Sam Adams, to fashion icon Parish Hilton, to up and coming Universal Dubstep/Rock Band W.E.R.M., to heavy metal legend Juan Urteaga, saw an opportunity with NOVA RISE to create something truly unique, and what he considered, the future of rock music. In the studio, Nova Rise and Gonsolin seamlessly pulled together musical facets from each of the genres that his productions were so revered in. From there, they gave it the backbone of true hard rock music, but fused it with the modern elements found in today’s electronic music. What they created was music with no limits, no boundaries, no labels; a style of music that seemed to give the middle finger to the trend followers and made everything else sound like a packaged pre-made meal for the ears. The first single Freedom of Goodbye has been play listed on multiple local stations including, 94.7 Highveld Stereo, MFM, UCT Radio, as well as over 70 international stations. NOVA RISE; a band that is destined to change not just the face of rock music, but the face of music across the genre globe, forever.